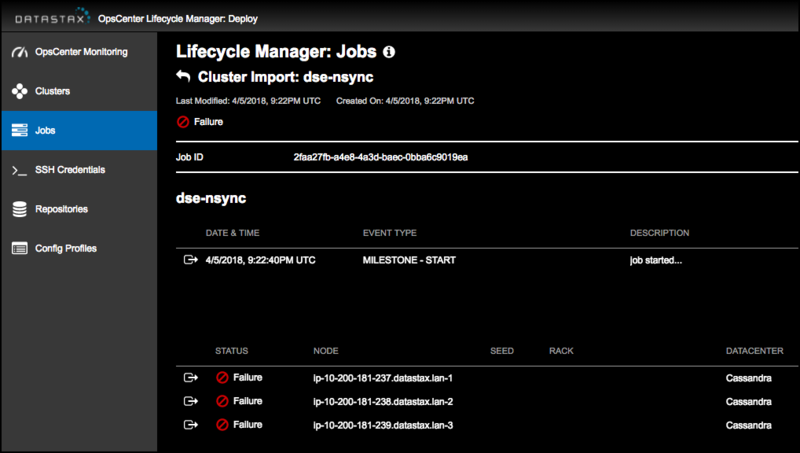 View details about currently running or already completed jobs in Lifecycle Manager (LCM). Use the filter lists to quickly locate the job you want to view. Click column headers to sort jobs by date, status, or job type and drill deeply into job event details. Click the Created On to quickly sort jobs by date created in ascending or descending order. Click Status to sort by job status such as Success or Failure. Click Job Type to group jobs by type. Click the view details icon to access more details for any event within a job. The details page for the job appears. Drill deeper into more granular details about an event type for a job. Click the view details icon for the event details you want to view. 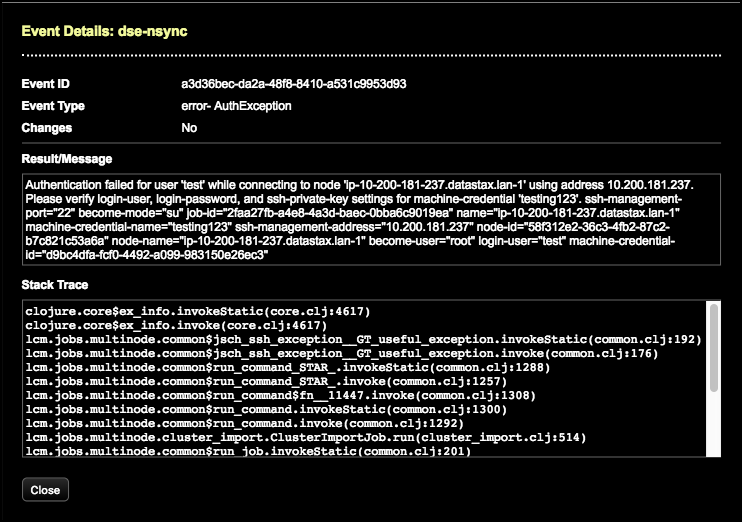 The Event Details dialog displays result messages and a stack trace. Drill into the status for each node. When finished viewing job details, click the back arrow icons to navigate back to nodes or the main jobs page.